Let me begin by saying that I did not understand why this book created such a hue and cry; enough hysteria to make the author declare that he “Perumal Murugan, the writer is dead. As he is no God, he is not going to resurrect himself. He has no faith in rebirth. As an ordinary teacher, he will live as P Murugan. Leave him alone.” Is the tradition in the book a myth or a reality? 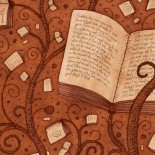 That is of no importance, because the book is a piece of fiction – and an amazing story. 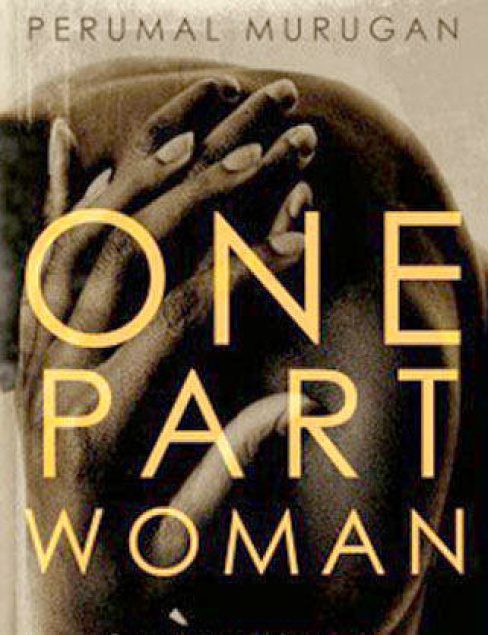 One Part Woman is the English translation of the Tamil book Madhorubhagan,that released in 2010. In a remote Tamil Nadu interior, Kali and Ponna are a much in love couple. While everything around them multiplies with ease, the couple are unable to have children. The comments of well wishers, and the gossip of people around them make their lives miserable. Kali’s sexual potency is the subject of sly and open taunts, and any occasion can fast turn into a criticism of her childlessness. Kali becomes a recluse and spends time in his own thriving barnyard. Ponna gains a sharp tongue to tell off anyone who talks of her ‘barrenness’ and goes through periods of intense lows as she comes to terms with a life without children. The couple perform countless acts of penance to various deities, among them the half-male and half-female god on the hill. Every year, on the fourteenth day of the chariot festival to the androgynous deity on the hill, the rules of all marital contracts are relaxed. Any man is allowed to lie with any woman – a tradition acknowledged as being a socially and divinely sanctioned method of conceiving should a husband be sterile. Ponna’s mother and mother-in-law,want Ponna to participate in this tradition. Ponna’s willingness to try this riles Kali. He does not believe in the godliness of this sexual union. One Part Woman is a beautiful and heart breaking story – of a couple so happy with each other, yet destroyed by their childlessness and the desperation to try anything to have a child, and restore their social and emotional well-being. I wish Perumal Murugan had not stopped writing. I would have loved to read a sequel to this story. To know what happens next with Ponna and Kali! This entry was posted on April 24, 2015 by Preeti Singh in Book Reviews, Fiction and tagged madhorubhangan, one part woman, perumal murugan.